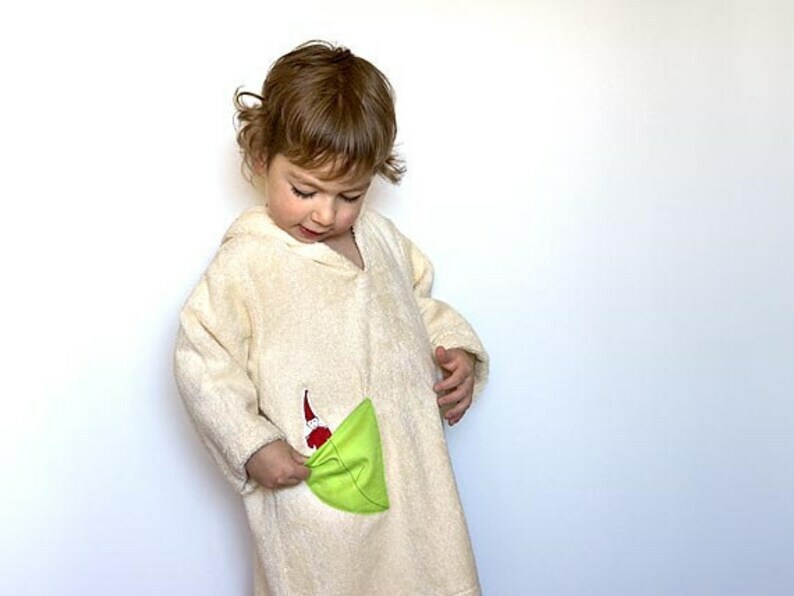 This Ecofriendly Hooded Bathrobe has been designed without any button nor belt, just one piece so that your kids will stay warm and toasty no mater what. The pixie hood is designed to be cute and to remain on your little one's head. The "leaves" are made using organic cotton. . The little pixie is printed with ecofriendly inks on organic cotton. 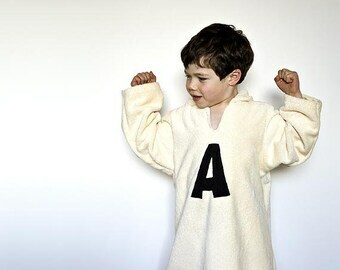 Picture shows the bathrobe in size 2T (on a 4yo and a 2yo child). I can make it in 5 different sizes (12 mo, 2T, 4T, 6T, 8T). Just specify sizing preference when purchasing.